The NORSI-TRANS company took part in the international geological and geophysical conference and exhibition GeoEurasia-2019, which will be held from 4 to 7 February 2019 in the Congress Center of the World Trade Center of Moscow. 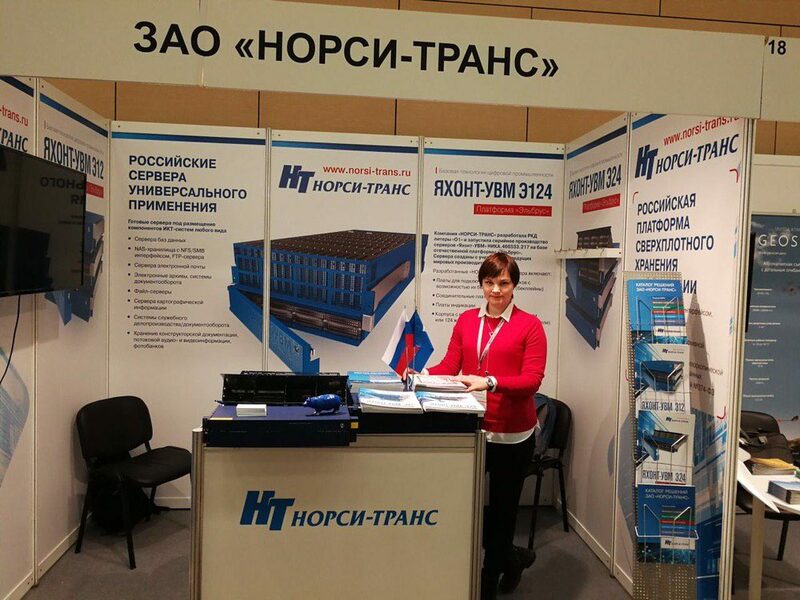 During the exhibition at the stand of NORSI-TRANS, the line of domestic Yakhont-Application Servers based on the Elbrus platform, fully created and manufactured in Russia, was presented, and the equipment for superdense information storage was also demonstrated. As part of the business program, a speech is planned for the implementation specialist Sergey Kostin with a report on the topic: "YAKHONT" is a Russian platform for storing and accessing geological and geophysical information and remote sensing data.